Clearly, the casting of Kevin Costner as our beloved folk-hero Robin Hood twenty years ago continues to vigorously afflict our national consciousness: our vengeful response knows no bounds. First, Welshman Christian Bale becomes the latest Batman, then Englishman Andrew Garfield becomes the latest Spider-Man and now, another dashing Englishman, Henry Cavill, is set to take on The Greatest Super-Hero Of Them All, Superman. Do you get it now, Yanks…? DO YOU…???? Joshing aside, this is good news indeed. While it’s a definite shame that the sorely-underrated Brandon Routh doesn’t get to consolidate the considerable promise in the role which he made in the misguided Superman Returns (2006) – and let’s face it: it was always exceedingly unlikely – Cavill is a very satisfying alternative. He’s classically (very) handsome, young (27), square-jawed, dark-haired, of suitably-Superman height – 6′ 1″ – and is a muscular chap in normal circumstances, so one can imagine what the required gym regime to play Superman will do. He also possesses a very commanding presence: I first became aware of him in 2002’s Jim Caviezel-starring The Count of Monte Cristo, in which he played Albert Mondego, but, more recently, have habitually enjoyed his presence in the laughably-inaccurate-but-compellingly-soapy historical drama The Tudors – recently finished –where he played the most-loyal ally of Jonathan Rhys-Meyers’ Henry VIII (and similarly-epic cocksman), Charles Brandon. 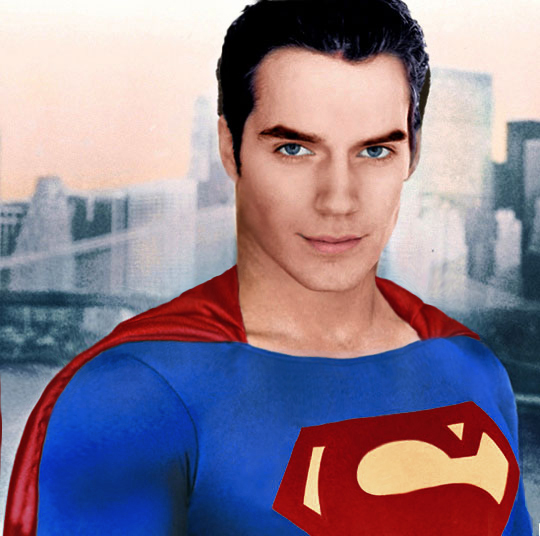 Cavill’s casting as Superman is actually second-time lucky: he originally auditioned for the role for the McG/J J Abrams Superman project – and got it, even going so far as to do costume tests, apparently – but this version was eventually abandoned for the Bryan Singer film. However, that piece of pointed ill-fortune followed failed tries for not only Christopher Nolan’s Batman Begins but also replacing Pierce Brosnan as James Bond in Casino Royale, a trio of high-profile misses that led Empire to not-unreasonably dub him “the unluckiest man in Hollywood”. While I never really had Cavill in mind for Superman – I felt sure that an American would be cast as such a particularly-American icon, although I am impressed they’ve gone with a Brit in this instance – I’ve long felt certain that the Bond producers had him very much in mind to succeed Daniel Craig come his retirement from the role (the timing would be perfect, as Cavill would be in his early-to-mid-30’s). As it is, I am pleased that Cavill has nabbed a high-profile role that will unquestionably propel him to the next level. I’ve never heard him do an American accent, but word has it that Snyder and co were hugely impressed with his take on the character. It goes without saying, of course, that Cavill has some Very Big Shoes to fill, but his casting is certainly cause for confidence. If Richard Donner’s seminal Superman: The Movie taught us anything, it’s that considered casting can be everything. I liked novelist Tom De Haven’s recollection of seeing the first shots of Christopher Reeve in the Superman costume in his book Our Hero – Superman On Earth: : “…even though nobody knew whether he would be any good in the part, he looked perfect. He was not at all like the barrel-chested Superman of the 1950’s or the linebacker Superman of recent cartoons and comic books, but everybody, including myself, already seemed to agree that if there were a Superman, he’d look exactly like Christopher Reeve”. Now, Cavill will be under enough pressure without foisting the wholly-unrealistic expectation of that particular bolt of lightning striking twice – but, Routh amply showed that the torch can be successfully passed. 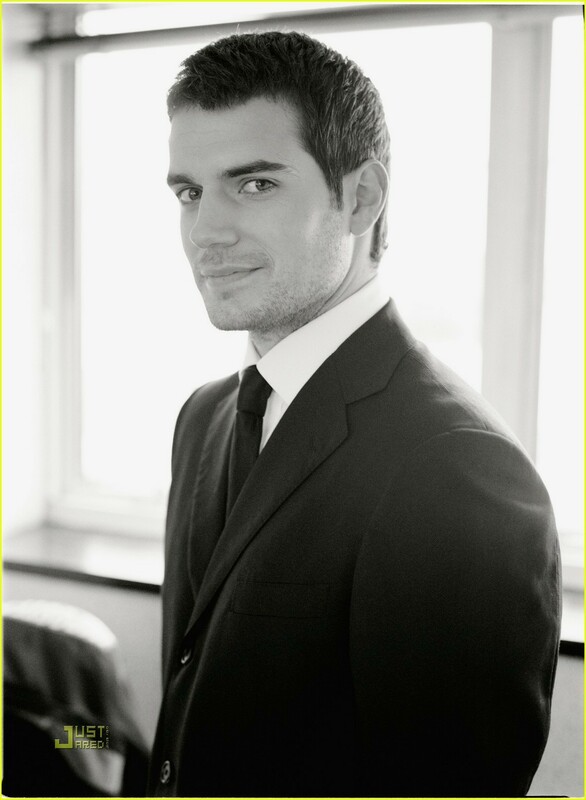 Like Routh, Cavill is a very able actor capable of inhabiting the role of Superman – an outright necessity – rather than merely “starring as”. I think Cavill’s got bags of potential and, ultimately, it’s a very encouraging first move on behalf of Zack Snyder. ANYWAY. Now we know who’s donning the cape and boots, can we PLEASE make sure that said cape and boots are actually RED this time? ?